Sunday morning, 11am. What to do? Too early to communicate with other people? Not late enough to watch the latest epic from the London Film Festival? How about a compromise: short films from Cinema Hades. Get serious kudos in being part of The London Film Club which is hosted by Rich Mix in trendy East London. Curated by Cinema Hades, this new quarterly film festival connects great short films with a film-loving audience. In its inaugural event we saw a diverse range of films and a wealth of talent, including some beautiful animation in ‘Perched’ and some sparkling comedy in ‘Ten Years’. The latter stars Laura Evelyn and Georgina Strawson as two old school friends who try to rekindle their teenage bond but their coffee shop rendezvous ends in farcical comedy. The highlight of the morning had to be ‘Pregnant Pause’ by award-winning writer and director Alice Seabright. An honest comedy drama about a pregnancy scare, it centres around a young, slightly bumbling couple played by the lovely Alexandra Roach and Nathan Stewart-Jarrett. Roach plays the central female character, Steph, who is happy in a long-term relationship, but when she finds herself peeing on a stick, faced with the prospect of an unplanned pregnancy, she is completely and utterly terrified. Pregnant Pause is a candid exploration of modern day womanhood, long-term relationships and the anxieties of having children. 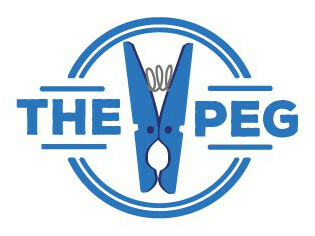 We at The PEG agree that it’s a great format for showcasing up and coming film talent. The next Film Club takes place at the end of February 2017 and is very much recommended.